Show-cases designed to turn heads at LAN events and trade shows are nothing new, and they've been regular attendees at these gatherings for over a decade in various guises. 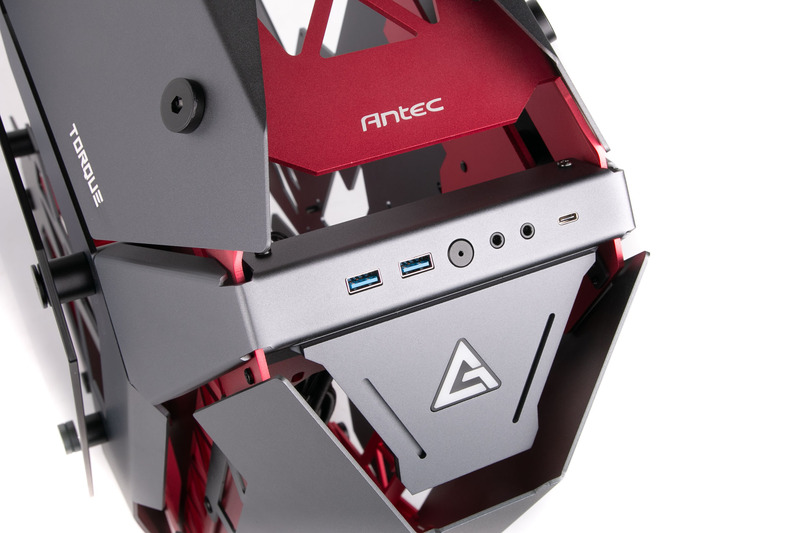 Antec hasn't jumped on that bandwagon as much as the likes of In Win, but the Torque certainly carries all the hallmarks of a typical open-air show-case that wouldn't look out of place at the likes of Computex or CES. However, we're here to see if it holds up to our standards for something we could use at home and also whether it justifies its £350 price tag. The looks are undoubtedly polarising (going by the response in our labs), but the aggressive red details here, as is usually the way with so-called red anodised aluminium, are actually a slightly pink hue in the flesh. 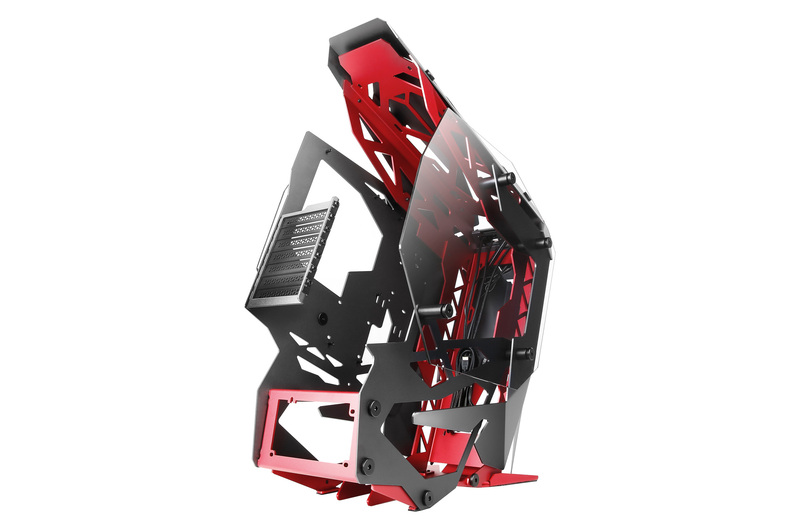 The case is a mass of aluminium panels sandwiched between two smaller tempered glass panels with much of the case being bolted together. There's one orientation, as shown, with the feet donning small rubber pads to absorb vibration. It's relatively large at 621mm deep and 644mm tall, a lot of that of course being due to the various angular protrusions. However, we can't help feeling it's not particularly elegant and, perhaps more importantly, that it doesn't add anything new to the scene either. 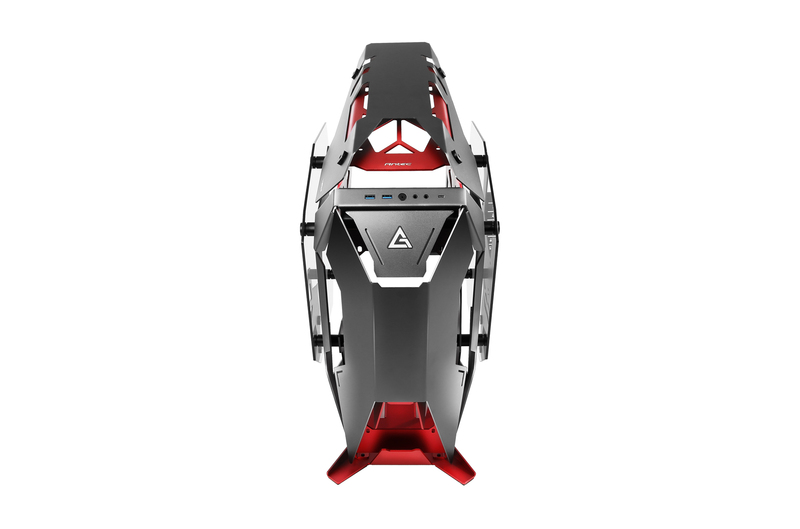 The design, with a forward-tipping front section, has been done before by both case manufacturers and modders alike, and while it might appeal to those unlikely to be reading this, to seasoned enthusiasts it probably looks a bit samey. What strikes us, though, is a severe lack of interesting features despite its price, especially when compared to feature-laden but still edgy cases such as the Phanteks Evolv X, which costs £150 less. There's no RGB lighting, no fan hubs or controllers, no vertical graphics card mounts, and no way to really tweak the layout. 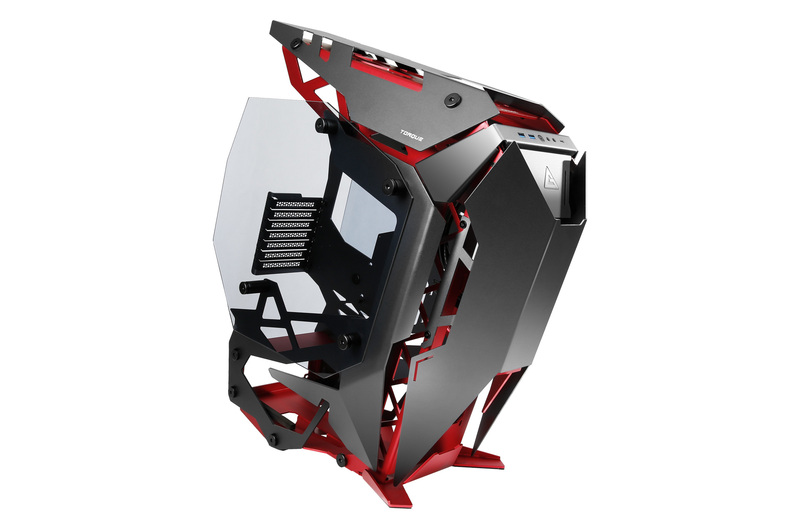 One obvious comparison is with Thermaltake's popular Core series of wall-mountable cases, which will already appeal more to those that prefer a cleaner look and are much easier to work with too. Perhaps the only standout feature is USB 3.1 Type-C support. Oh, and the front logo illuminates... But we're left feeling that most of our £350 has simply gone on bolting some bent aluminium panels together. We're also not keen on the oversized nuts used to secure the panels - we can understand using them for glass, but they look unsightly on the rest of the case. Antec has used much more attractive countersunk screws elsewhere; maybe it ran out halfway through? Drive bays 1 x 3.5"/2.5", 1 x 2.5"